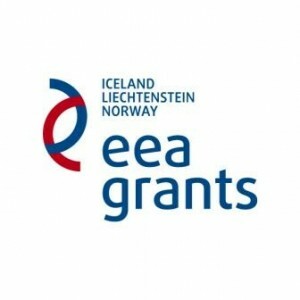 The “ProParticipation” project is funded as part of the Bulgarian NGO Programme under the EEA Financial Mechanism 2009-2014 and co-funded by the Charles Stewart Mott Foundation. An innovative approach for encouraging citizen participation, collecting citizen opinions, evaluating the state of citizen participation and addressing recommendations to authorities has been elaborated and piloted by the Citizen Participation Forum, Bulgaria and the Bulgarian Center for not-for-profit Law. In early 2015, both organizations undertook the challenging task to monitor on regular basis three interconnected aspects of citizen participation. On the one hand, the environment in which it develops – under what conditions and on what legal base the dialogue between citizens and institutions has been occurring. On the other hand, how often and what tools citizens and organizations use in order to get involved in the decision-making process. And, above all, what the effect is from the application of various mechanisms of citizen participation, what their impact is on the operation of local and national authorities and the decisions and policies they make. These three domains form the so called Citizen Participation Index. An expert group of practitioners in various fields of action at local and national level evaluate and score the three domains of citizen participation. As a result of the application of these methods, a score of citizen participation is put and certain recommendations to the authorities and the NGOs are addressed. The implementation of the Index in Bulgaria in 2015 showed that Bulgaria is in a state of developing citizen participation; it also showed that a lot of activities should be undertaken by the authorities and by the NGOs to improve the situation. – Involvement of more than 100 NGO and more than 2500 citizens in a deliberation process. Based on the national methodology, the Network developed a Local Citizen Participation Index. Initiated by the network’s members, over 15 municipalities have already been measured and have their citizen participation scores and recommendations.